Acne on your face is bad enough, but when it also breaks out on your neck, then you’re heading for a whole new type of battle. 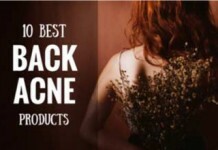 What most people don’t realize is that neck acne can be very painful, and it’s often not the easiest to deal with. 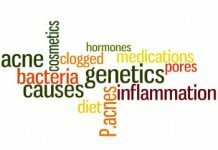 Your usual prevention and cleansing routine may very well need to be adapted and you might need to explore additional products to deal with it. The unfortunate thing is that whatever is causing acne on other parts of your body, may not be the same reason it’s affecting your neck. But there are a few things you can do to start making some fast improvements. On this page you’ll learn some of these valuable prevention tips. If you follow these immediately you should see a significant reduction in outbreaks. And for those situations where the pimples and blackheads have already appeared we have you covered as well. There are some specialty products available that will help clear them fast and effectively. Check out the list below and pick one that suits your skin type. Acne on the neck is pretty similar to back acne as the skin on this area is relatively thick and produces more oil (sebum) than other parts of your skin. Wearing tight collared shirts, scarves, turtlenecks, etc., as they can cause serious irritation. Using different kinds of facial cleansers, soaps, or moisturizers without making sure that they are non-comedogenic or oil free. The transfer of oil from your hair to your neck as it clogs the skin pores (this can also cause acne on your scalp). Now comes the core part of this article. 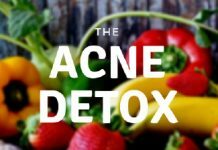 I’m going to share 9 different and effective ways of eliminating acne on your neck and also preventing it in the long run. 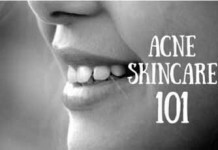 The first part outlines different ways for eliminating your existing neck acne. 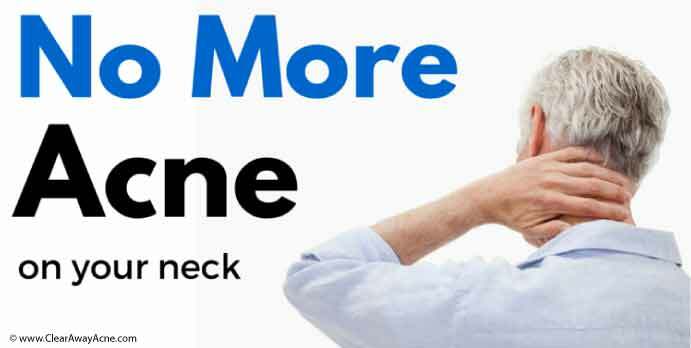 The second part on the other end, shares a number of practical tips that will effectively help in preventing future breakouts on your neck. The reason we like Blemish Clear Body Wash is because it focuses on treating the root of the problem and gives you long-lasting and sustainable results. It heals the skin and helps to uncover bright, smooth, and healthy skin underneath. This double-duty acne-clearing cleanser also has amazing anti-aging properties. The formula contains premium quality Lactic Acid which stimulates collagen-building, helping to firm saggy skin and reduce lines and wrinkles. The body wash uses a potent combination of Salicylic, Glycolic, and Lactic Acid as the active ingredients to unclog pores, reduce irritation, and stimulate the growth of new, healthy cells under the surface. The formula also incorporates Lavender Oil which is known to help prevent severe acne scarring and calm breakouts. Lavender also has great sebum-balancing properties. 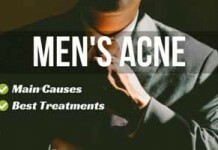 It’ll help to reduce over-production of oil on the skin, which is a primary cause of neck acne. Active Ingredient: Salicylic Acid, Glycolic Acid, Lactic acid. 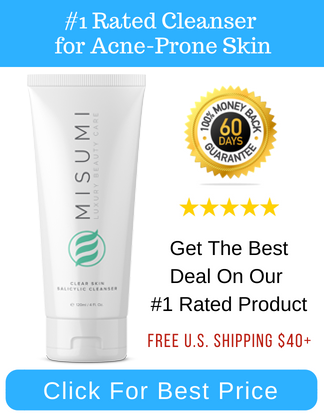 Massage Misumi Blemish Clear Body Wash on your neck and other affected body areas during shower. Rinse well and repeat daily. Now, if you’re looking for a super mild option for treating your neck acne fast, this is the way forward. Won’t dry out your skin excessively, it will actually leave your neck area fairly moisturized. Can bring in results in days, not months. The cream jar is rather small and you might need to restock often if you are treating several areas of your body. 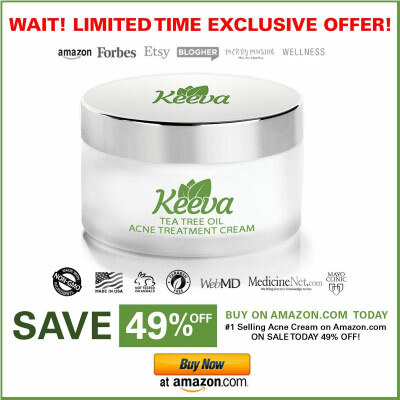 After cleansing your face, apply Keeva tea tree oil acne treatment cream directly to your neck acne spots. Repeat daily for best results. This medical grade glycolic acid cleansing pads make a great choice for getting rid of stubborn neck acne. It is packed with proven natural and scientific ingredients that promise improved skin tone and lesser acne scars, wrinkles and blemishes. Presence of glycolic acid helps shedding dead skin cells that unclogs your skin pores, improves cell turn over and redefines your skin’s complexion. Locks in your skin’s moisture and helps keeping it hydrated for long. The clinical strength glycolic acid and lactic acid treatment is infused with the soothing powers of chamomile, witch hazel extract and vitamin C to provide a full spectrum acne treatment without going too harsh on the skin. Best for: All except very sensitive skin. Helps restore the natural tone and smoothness of your skin fast. Sloughs off dead skin cells and allows new cells to take over, leaving a smooth, bright, blemish free skin behind. The carefully chosen ingredients are proven effective against hyperpigmentation and acne scarring. Take advantage of medical grade glycolic acid peel without all risks associated as its counterparts. 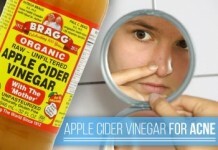 Has just the right amount of concentration needed to banish stubborn acne on the neck. The unique chemical structure of glycolic acid allows it to provide deep cleanse to your skin. It redistributes moisture from deep skin tissues to outermost layer to keep it hydrated and healthy from the outside. 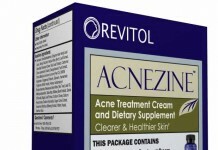 Can also be used on different areas of face and body for cystic and hormonal acne treatment. Can produce burning, itching, or allergic reactions for sensitive skin. The bottle tries up quickly as you go halfway through. Better close it very tight after use and keep in an air tight cabinet. Preferably, apply these pads on your neck after a shower. As a recommended step, after 1-3 minutes of applying these pads, rinse off your neck with baking soda water. This will neutralize the reactions glycolic acid is carrying out on the skin. Follow up with a moisturizer if excessive dryness occurs. If you’re looking for an all-natural yet powerful product to get rid of acne on your neck, and this spot acne treatment from TreeActiv is your solution. It employs a multitude of proven natural ingredients that fight acne causing bacteria, reduce excess oil, dry out cysts, and fade acne scars. With continuous use, it doesn’t just help banish existing neck acne, but it also helps preventing future breakouts. Best for: Normal, combination, dry, and sensitive skin. Ingredients: Bentonite clay, aloe vera, tea tree water, witch hazel, peppermint water, spearmint water. And different essential oils including spearmint, pink grapefruit, lemon, and tea tree. Works as a fast anti-dote for stubborn blemishes on your neck, face, shoulders and back. Employs bentonite clay which makes your pores free of toxins, sloughs off dirt and brim, and sooth irritated skin. It draws out excess hydrogen from your skin which helps more oxygen getting in which is essential for healthy cell turn over. Works great on the skin of teenagers, adults, and the elderly alike. Uses proven botanical ingredients to effectively replace anti-bacterial properties of benzoyl peroxide, eliminating the fear of dryness, stinging and bleaching effects that BPO treatments usually come with. Comes with a sold 100 day no questions asked guarantee. If you don’t like the results from TreeActiv spot treatment, just message them to get your refund. The product can dry out. You need to carefully keep it sealed and air tight. And there’s no chance you can add something up to dilute the serum. Can cause redness and irritation. A lot of people are allergic to different ingredients present in this spot treatment. Do check the ingredients thoroughly and ensure you’re not allergic to any one. It is best and safest used as spot treatment, so don’t try to cover large areas of your skin with it. Apply on areas of your neck where there’s a visible blemish. Wait for 30 minutes before rinsing it off your skin. You can also leave it overnight on your skin and rinse off in the morning. Of course, you should do this only if you’re not feeling any itching or dryness after applying it for a few minutes. If you need a convenient way to tackle acne on your neck and other parts of the body that aren’t easily accessible, then this body acne spray from Paula’s Choice is your solution. This BHA treatment contains maximum strength 2% salicylic acid medication that penetrates deep into the skin to fight acne right where it starts, while also nourishing your skin to fade winkles and fine lines. 2% salicylic acid is proven to give a deep cleanse to your skin, unclogging your skin pores, shedding dead skin cells, and while calming your irritated skin. On greasy formulation absorbs and dries out quickly on the skin, without alcohol. Doesn’t leave your skin overly dried or tight. Works well against cystic acne. The convenient spray can be used to treat not only neck acne, but also back, chest and shoulder acne effectively. Visibly reduces wrinkles and fine lines and minimizes your pores to prevent future acne breakouts. 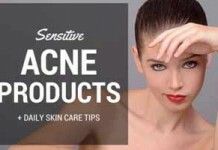 Being fragrance free, it does not irritate sensitive skin that much. It has a really bad smell, which makes you tempted to rinse if off as soon as possible. Spray doesn’t last long enough compared to the price. Spray over your neck or any other problem area where acne is present. Can also be applied on the face, but do not spray directly. Spray on your hands and rub it gently over the problem area. Allow it to dry on your skin. If you feel the need, you can follow up with an oil-free moisturizer. Start with spraying once a day, once your skin gets used to it, you can increase frequency for better results. If your skin is very oily, then there’s no better option than exfoliating it. You do it to remove any dead skin cells that may be residing on the dermis, doing nothing but to abet bacterial growth and clog the skin pores. There are a variety of ways to exfoliate your skin, but I’ll outline the best and the simplest ones. Lemon juice is, by far, the best way when it comes to exfoliating your skin gently and naturally. It contains the biggest nutrient friend of your skin, Vitamin C, in the quantity of about 64%. Add lukewarm water in it. Drink this water daily in the morning before breakfast. 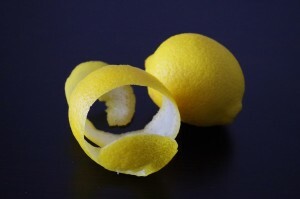 Rub the remaining squeezed lemon on your neck, leave it for 10 minutes, and then rinse it off. The drink will flush away all the unwanted toxins from your body, and the topical application will exfoliate your skin. Read what Jim Dillan – from HealthAmbition – has to say about the tremendous benefits of lemon water. 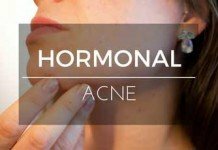 If acne on your neck is severe, this method is to go for. It’s proven to be an effective way of exfoliating your skin and drying out pimples to eliminate them. 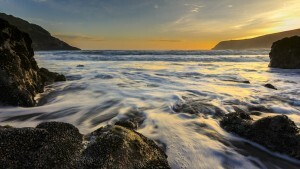 Mix 1/2 tablespoon of extra virgin oil with 1 tablespoon of sea salt. Stir them gently, and apply on your neck. Do this repeatedly with a two day gap. If it dries out your skin too much, shorten its use to only once a week. 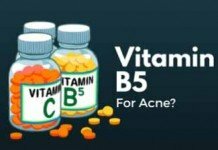 For a comprehensive list of the most successful products that contain BP, SA, and AHAs, refer to this blog post. 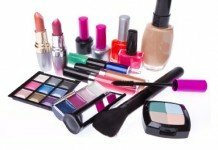 Always check non-comedogenic or oil free label on cleansers, soaps, moisturizers, or any kind of cosmetic products you often use because they can cause over production of sebum and promote acne cosmetica. Wash your hair regularly to keep its oil off your neck – preferably, with any of one these acne fighting shampoos. You can also wrap your hair up if its longer. Habitually adopting these simple tips in your daily routine, in itself, can provide noticeable improvement in your acne condition. 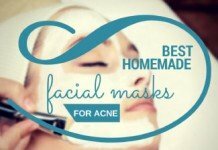 And when combined with the methods we’re going to discuss below, it will definitely provide a perfect platform for the elimination of acne on your neck. At last, I’d suggest you to avoid each and everything that causes irritation on your neck. Remember this simple rule, less irritation = less acne. 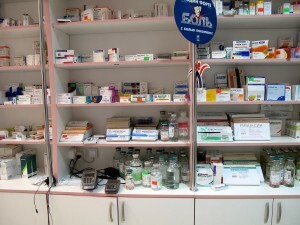 Therefore, they should be avoided at all costs as irritation is the one of the chief abettors behind neck acne. 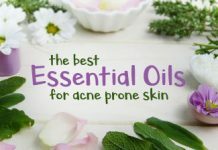 Excess oil often happens to be the main reason behind the outbreak of acne, and if your skin is oily, and you perspire a lot, there’s no way but to believe this. Having said that, make sure to avoid excessive buildup of sweat on your neck area to prevent bacterial growth and pore clogging. 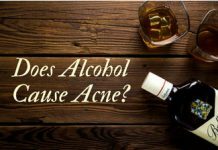 We discussed how acne on the back of your neck is caused and how to practically eliminate it by making use of some of the best available methods. But we didn’t even stop there. We also learned a number of practical tips for preventing neck acne in the future. 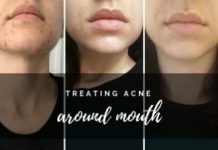 If you’ve been reading this post right from the start, I think you now have no reason to allow acne to stick to your neck. You’ve learned all the tips, tweaks, and methods that will help you in making that possible. What’s only left is your will to do all this. What do you think of these tips I’ve shared in this article? Have I missed anything? Want to share a method that works for you? I have found that the skin on my neck is more sensitive than that on my face. If I use anything medicated or more stringent than a mild soap on my neck, it gets inflamed. Then I have acne and red, angry neck skin. I use a mild cleanser on my face and neck every morning and night followed by moisturizer, but I’m not sure what else I can do to treat the acne that won’t otherwise irritate the skin. Any suggestions? You should better consult with your Derm if your skin is that sensitive. 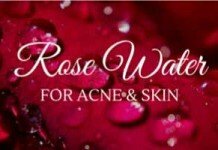 The mildest treatment I can think of for your situation is to use Exposed Body Wash (not acne treatment serum) from their body acne kit. You use it under the shower, very gently apply it on your neck, and rinse it off in a few minutes. You follow it up by gently dabbing your neck with their Derm-X cloth (no rubbing). Since your neck gets inflamed by every acne medication, I’d suggest diluting this body wash with some water in your hands and then apply it on your neck. If you get positive response from your first use, follow this method 2-3 times a week and it will hopefully get all good. 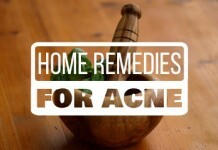 I have the acne issue and I was looking for a home remedy because I don’t prefer to treat it with medicines or creams containing chemicals. I will try the lemon remedy and hope it will work well. 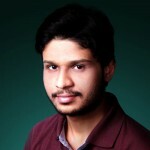 Can you please share a remedy for acne scars as well? I have a guy friend and he has several acne on the back of his neck. I think one of the best ways to get rid of acne is having a proper hygiene. I will share these ideas with him. Are the products you shared, natural products? Thank you for sharing these informative post.